Be the first to hear about their new releases and deals. Download the Booksprout app and search for Don Meinberg today! 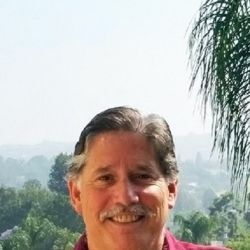 Pastor Don Meinberg is the senior pastor of Reflections Christian Fellowship in Riverside County, California. He spent more than 12 years working with various ages of youth, including pre-teens, middle schoolers, and high school kids. He has had the privilege to counsel them and hold Bible studies on the sensitive, delicate subjects of their life stages such as body image, peer pressure, and teen suicide, to name a few. His experiences have allowed him to truly understand what these kids experience during puberty and how each of them is different in these growing-up years. Pastor Don holds two Master’s degrees and two certificates in various competencies. Most of all, he has a big love for kids’ ministry!